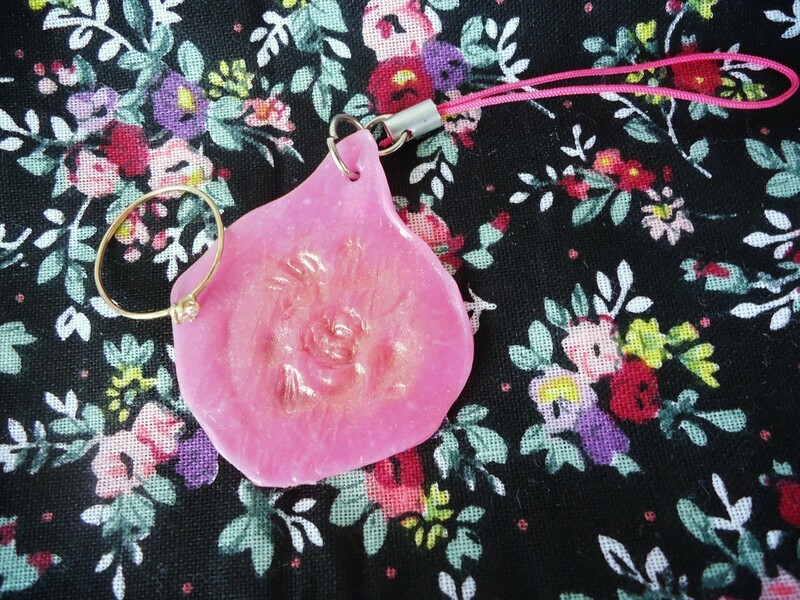 chic and simple pendant made with Sugru stamp! 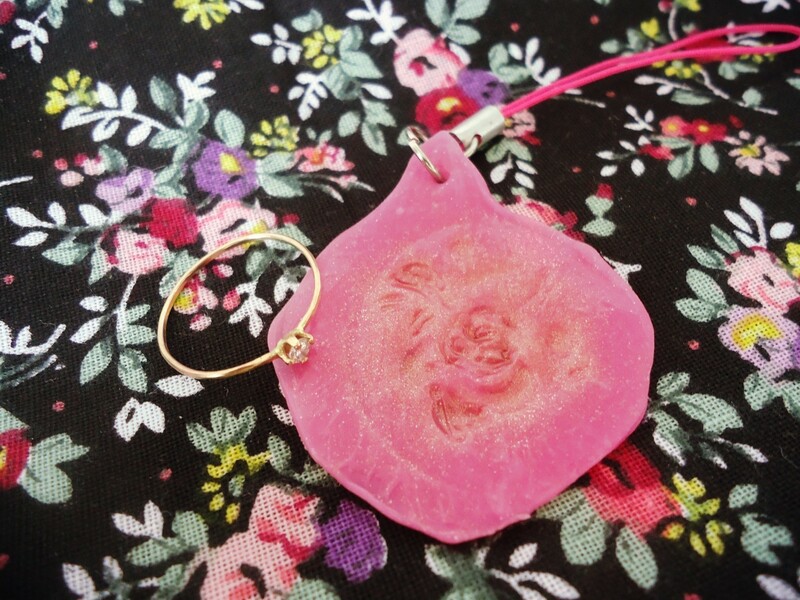 So in this tutorial you are basically going to make a stamp to create the embossed effect. 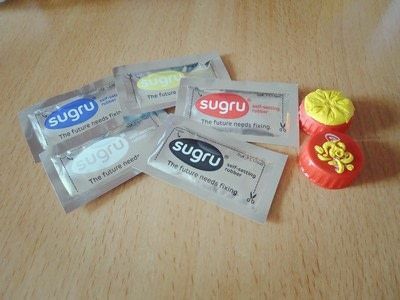 For making this stamp I basically used Sugru and bottle cap as the base. 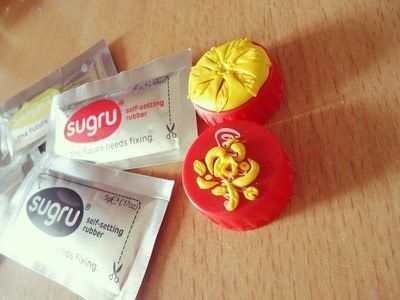 Now, first thing you need to know about Sugru is this is a product made for repairing household items, so its really sturdy. Its not as soft as you think after it sets, but not as hard as a baked clay - which is good. 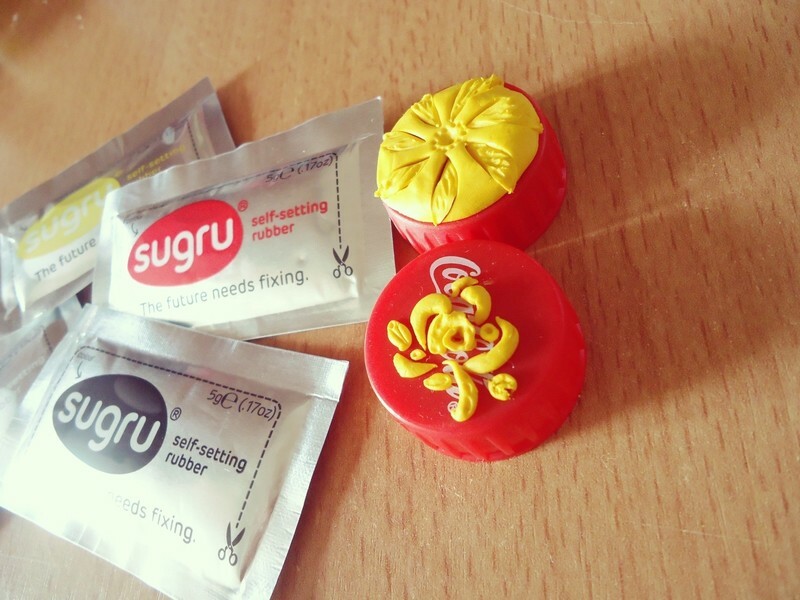 IMPORTANT NOTE about Sugru: its really sticky, and its not as workable as you think (compared to other craft supplies like clay). Naturally, it needs to be like that because well, its for repairing things. So I did several trials, and turns out refrigerating it gives you two major advantages: first, it stated in the package that it would made the product last 3x longer. second, it makes the texture much more workable. I basically put mine in the fridge to store it since then. The only thing you need to note is that the height should overall be approximately the same. otherwise the shorter ones won't show when you use the stamp later. The best way is to get a design in mind and work quickly because the Sugru will start to set in 30 minutes. leave it to set 24 hours, but as long as its not too thick leaving it overnight should be fine. 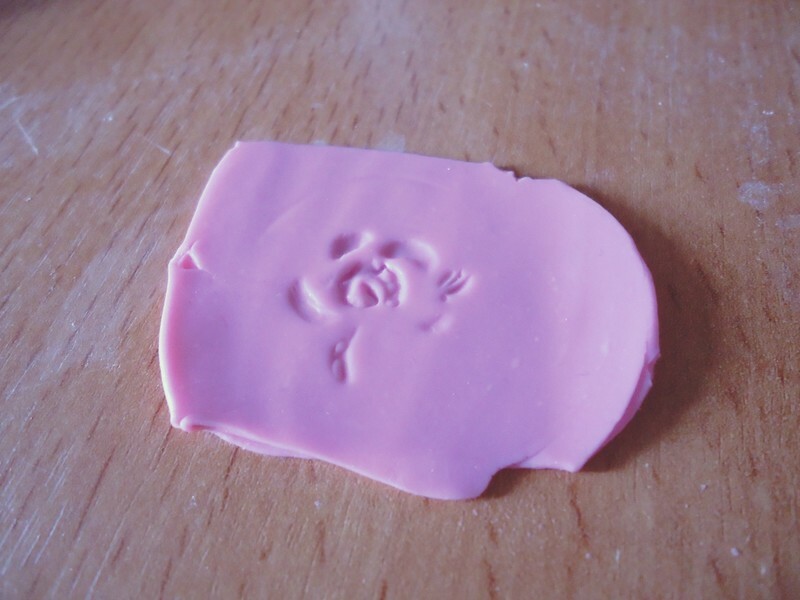 Roll out your clay and use your stamp. When rolling use baby powder or corn starch on both the table and roller so it doesn't stick. Press the stamp to it gently and turn it in slow circular motion to ensure it catches all the details. Cut out the embossed part with a petal shape, you can also make a template first from a paper or a baked clay to make sure it looks like the design you wanted. I made mine from baked clay but a gloss paper (dove or other non-sticking paper should work fine too) is fine to use. Thin out the edges with hand. Clean it up carefully with q-tip and alcohol if its dirty. if you do this, wait a few minutes until the next step. 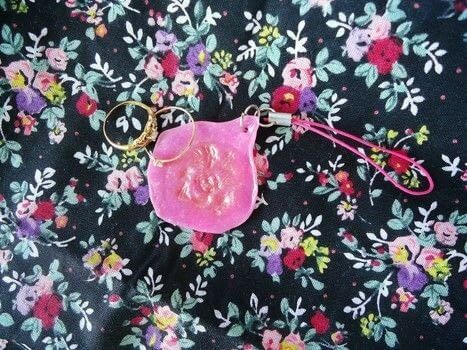 Use your small brush to color the embossed part. This works as a highlight. You can use contrasting colors but since I don't have any other, I used the bronze eye shadow I got from a make up sample kit. After you're happy with how it looks, make a hole for inserting the jump ring then bake clay according to manufacturer instructions. Wear it as a pendant or simply use it as a strap.